How do I delete a lease? This article explains how to delete an existing lease. You may need to delete a lease if you are terminating a resident's lease early or if the lease was added mistakenly or with inaccurate information. To delete a lease log into the Community Manager and select the resident's building and unit from the Building and Unit Lists. 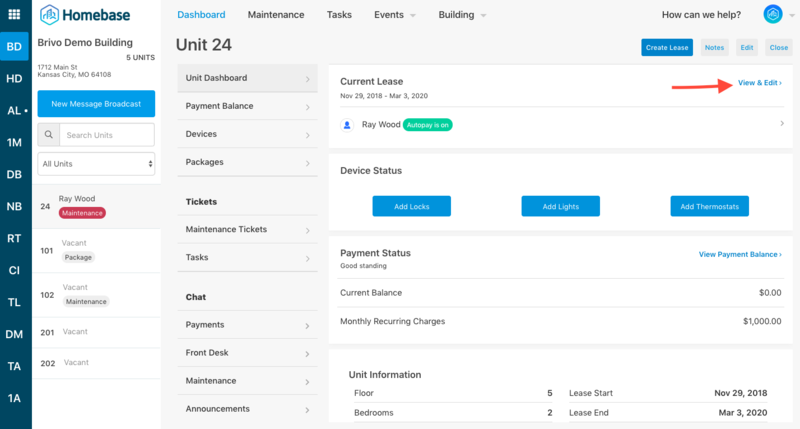 On the Unit Dashboard click on the resident's name or select View & Edit to open the resident's lease. 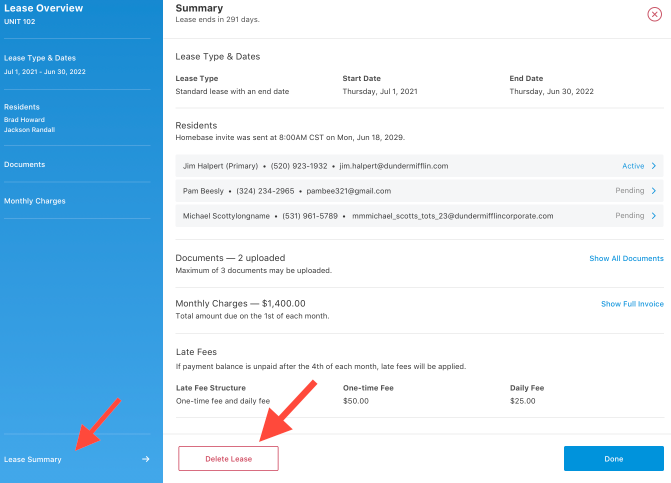 Navigate to the Lease Summary page and select the red, Delete Lease button.